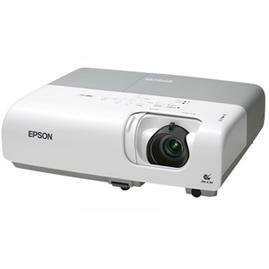 Rent a powerful professional projector for your home or office use. Perfect for presentations, lectures, company events, etc. 2000 ANSI Lumens. Resolution: 800x600. Easy to use. Simple to connect. No hassle. Kit inludes a carry bag and all the necessary cables to connect the projector to your equipment. For best results we recommend to project onto a projection screen. We offer portable projection screens starting at 1.53m wide and up to 2.44m wide with stands. We also offer larger screens that need further installation or hanging. - Lamp: 3000 hours in high clarity or 4000 hours in low clarity.